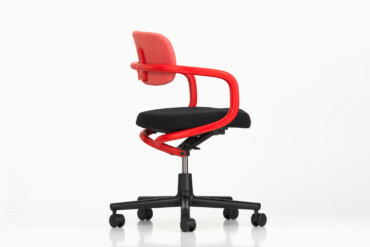 Diversity and high-tech for the office: The “Allstar” chair and the “Hack” desk by Konstantin Grcic for Vitra. Arthur Schopenhauer was right: Because there are enough reasons to be pessimistic, we are surrounded by optimists. Especially when it comes to the office and its future. The three most important keywords in this area have for years been: networking, efficiency, and flexibility. For that reason alone the working environment today must offer a great deal more than it did ten years ago: a place for chatting with colleagues over a coffee, rooms or cubicles for meetings or video conferences, lounges where people can check their mails and booths for concentrated desk work. There is a lot that sounds promising in the new world of offices, but also several things that sound too good to be true. The Fraunhofer IAO, the renowned institute for work management and organization responsible for the office concept at the new Microsoft headquarters in Munich’s Parkstadt Schwabing district, talks of four work zones: “Accomplish” refers to individual desk work, “Converse” stands for teamwork in project rooms, “Think” for creative retreat and “Share and discuss” for efficient interaction. Which for employees means that they will no longer have their own working environment. Mandatory presence at work was done away with some time ago. So employees arrive at the office in the morning and choose a workstation they like the look of that day and then move to a different zone when the need arises. The last residue of individuality tolerated by this clean-desk policy goes by the name of lockable storage cabinet. This is where personal documents are kept. Abandoning self-determination at the workplace in favor of boosting efficiency is now simply known euphemistically as a “learning process”. Bright and friendly rooms and corresponding furniture compensate for having to give up things of one’s own. Welcome to the beautiful new office world, where there is just one thing getting in the way: You still have to work – and perhaps more than you might like. 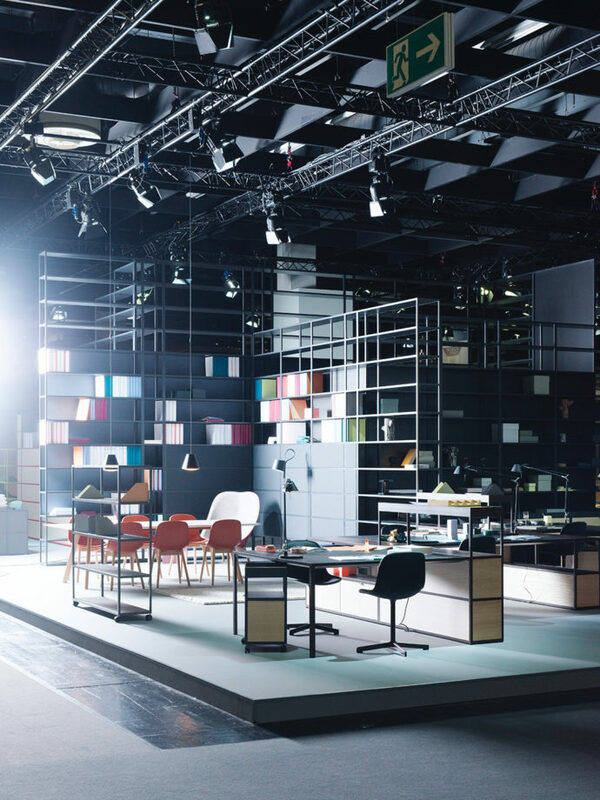 Prior to Orgatec 2016, which takes place next week in Cologne, the initial situation is as follows: In recent years and decades the mustiness has been swept off the tables and shelves, out of the cupboards and cabinets. With success. One may argue about taste in individual cases, but on the whole offices have become lighter, friendlier, more ergonomic and all in all certainly more stylish in the last ten years. 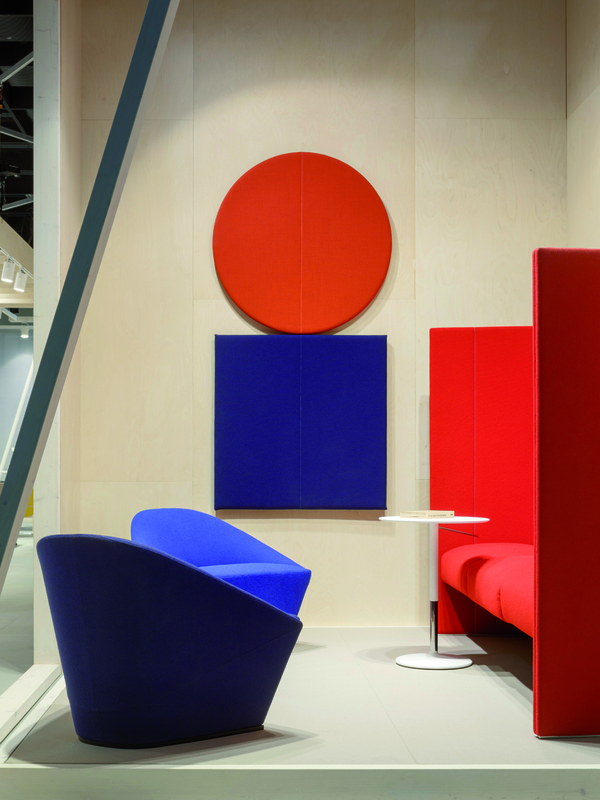 Today, chipboard with dreary imitation wood has given way to a diverse range of materials and fabrics (often sustainably produced and used), fresh colors, quality workmanship and much more besides. Communicative venue and quiet space: „Windowseat" by Mike & Maaike for Harworth with out-sized ears for more noise protection. Whether “workspace” or “work spirit”, “netting” or “nesting”, and whether “thinking zone” or “island of calm”, the modern office should be oriented on employee needs. As one major manufacturer claimed in its brochure back in 2006, this is in order “to maintain and increase competitiveness in a global economy”. The wellness program was never entirely selfless. Indeed, a great deal in offices today hovers between increasing efficiency and massage for the soul. We want you to feel good, but do so efficiently, please! And let’s not forget: When no-one has their own office anymore, the size of the workforce can be quickly – and efficiently – adjusted to the order and earnings situation. 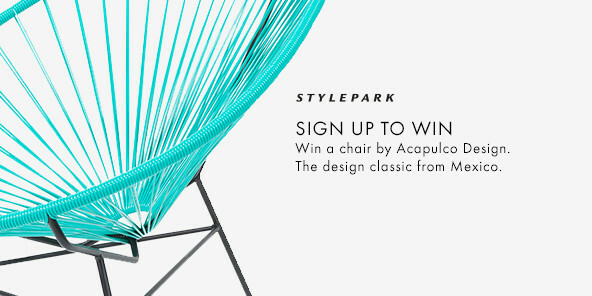 You could also say, in the words of Bernhard Rudovsky, that all the ideas about the office of the future (which here and there has long since become the present) constantly oscillated between Sparta and Sybaris, between burden and pleasure, desired level of efficiency and the requisite nourishment for the soul, between functional work machinery and cozy home. And now that the major revolutions such as the digital are setting the pace, many manufacturers have in recent years faithfully made the pilgrimage to Silicon Valley, as though Google and co. of all things had a plan of salvation that simply needed to be passed on and copied for the good of all. They returned from their study trips with, among other things, the wishes of a special breed of people whose world primarily consists of rectangular displays and source code and the demands of an industry that counts all the steps it takes like the versions of software updates. Irrespective of where they lead. Thus the requirements industry leaders or so-called start-ups in the IT sector have of an office space were swiftly recognized as having great future potential and converted into the average office in line with the simple formula work x flexibility2 = efficiency 4.0. We know from science theory and history that once people have agreed on a new paradigm there’s no stopping them. The approach was almost universally adopted, even if it soon transpired that it had certain weaknesses. It is safe to say that no-one mourns the loss of isolated cages for office workers, but what the new shares with the old and outmoded is the fact that in the name of the idol efficiency only few versions are permitted once again across any number of sectors and activities. Those who propagate such models enjoy talking like politicians pursuing secret interests, but who like to “take people with them” so they can see for themselves the benefits of the new work environment. In any case, such offices must have strongly digitized work processes, as flexible working with a lot of paper doesn’t pan out so well. 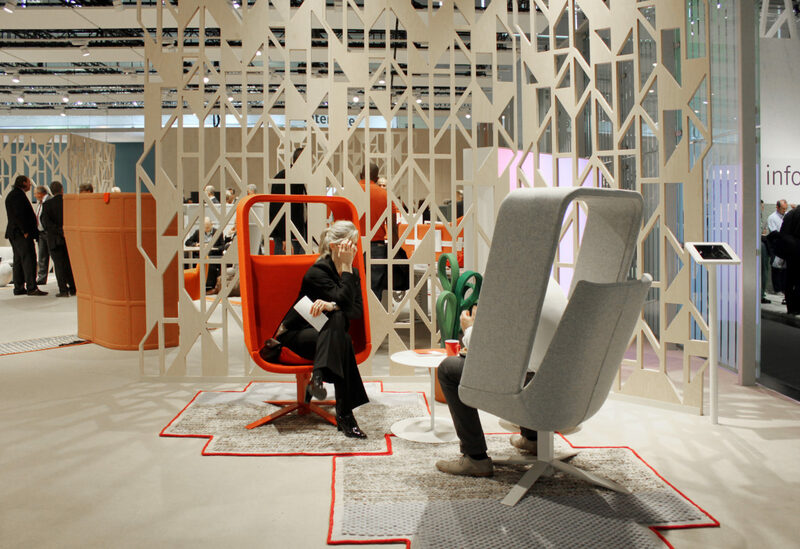 Greater structure in a room thanks to perfectly calibrated items of furniture: “New Order” by Stefan Diez at the HAY booth at the 2014 Orgatec. 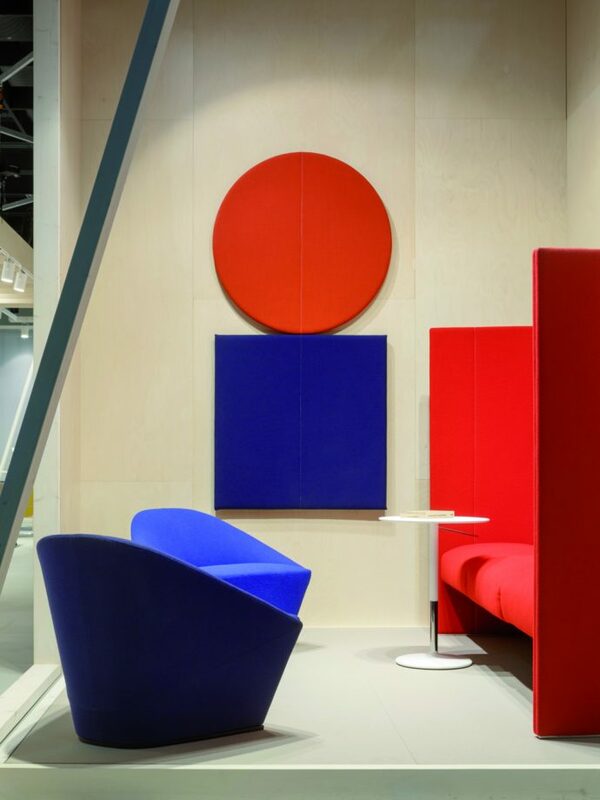 Lounge in the working environment: “Colina L” seating by Arper. Thus an office’s organization directive not only shows the general transformation of large parts of today’s working worlds. Indeed, under the changed demographic, economic and ecological conditions the planning of work and the setup of the places where it is carried out are increasingly proving to constitute a comprehensive atmosphere management – both in the microcosm of the company and within the global capitalist “wellness greenhouse”. This kind of management is powered by cycles with self-reinforcing patterns driven by the media and in which the question as to what came first, the chicken or the egg, is as you know no longer relevant. Thus in our case we can also no longer tell whether digitization as a panacea of economic prosperity is supported in order to be able to create new work environments, or whether new offices with digitized processes are set up in order to help digitization make a breakthrough also in those places where its kind of efficiency actually has no business being. In short, as lovely and friendly as the new working world may present itself to us, it still corresponds to a, let’s stay on friendly terms, certain attitude and worldview. This reveals at least two things. First, examples like this act as wake-up calls and lead to key experimental solutions. And second, even with the planning of new offices nothing is ever as bad as it seems. 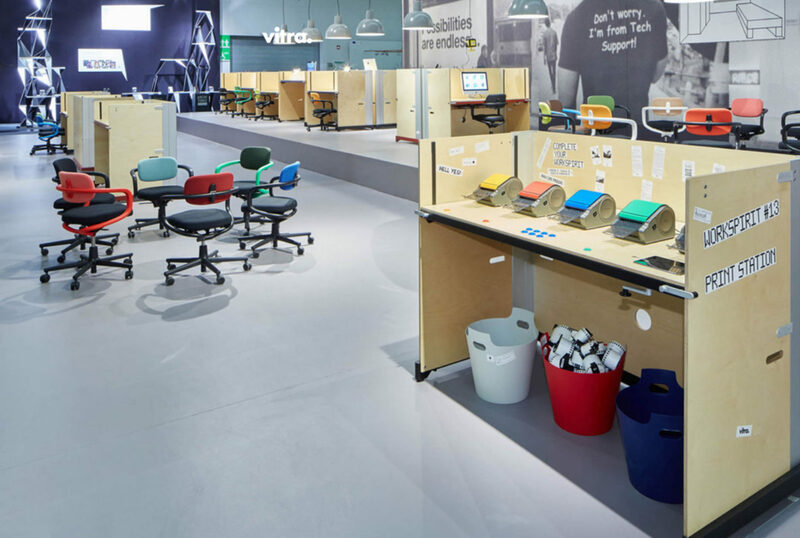 Examples such as the Google head offices may cause a stir in the media, but the office-as-playground remains simply an exception – and many offices that don’t look like that serve at least just as well as working environments. For we must remember one thing: Today we have ergonomic seating, can read, type or discuss ideas standing up, if we so wish, the office and workstation are lit by bright, glare-free light, we have water, good coffee, sitting areas, rooms to which we can withdraw and lots of amenities besides. The office has indeed evolved into a real wellness zone. We will have to wait and see whether the reality of work can actually keep up with the wishes. Tue – Fri from 9 a.m. – 6 p.m.